A Regular Kit contains enough material to resurface the inside and arms of a bath which has dimensions of 1700mm x 700mm x 400mm (l x w x h). 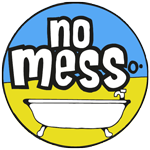 The majority of baths will fall below this threshold, however for baths that are larger, or if you want to resurface the bath panel too, please purchase the Large Kit for up to 4.5sqm of coverage. 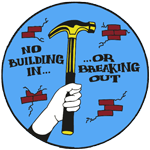 If you are unsure about how much area you have to cover or have any queries please get in touch. 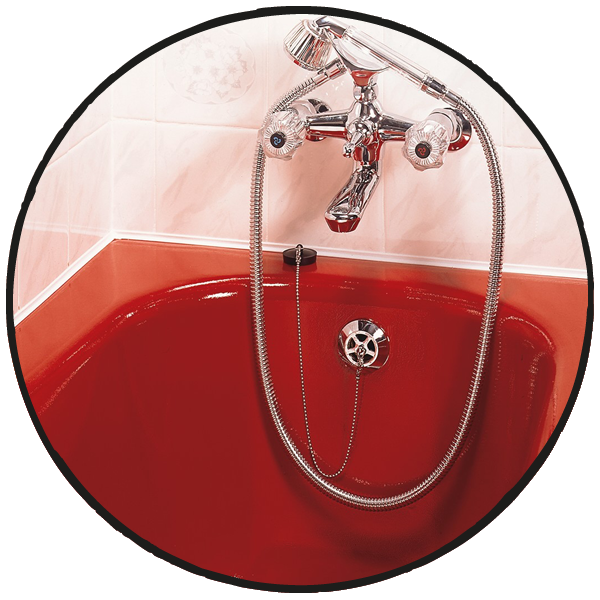 The Tubby Extra Kit contains everything you need to fully resurface your enamel bath in the colour of your choice PLUS additional items to make the process even quicker and easier! 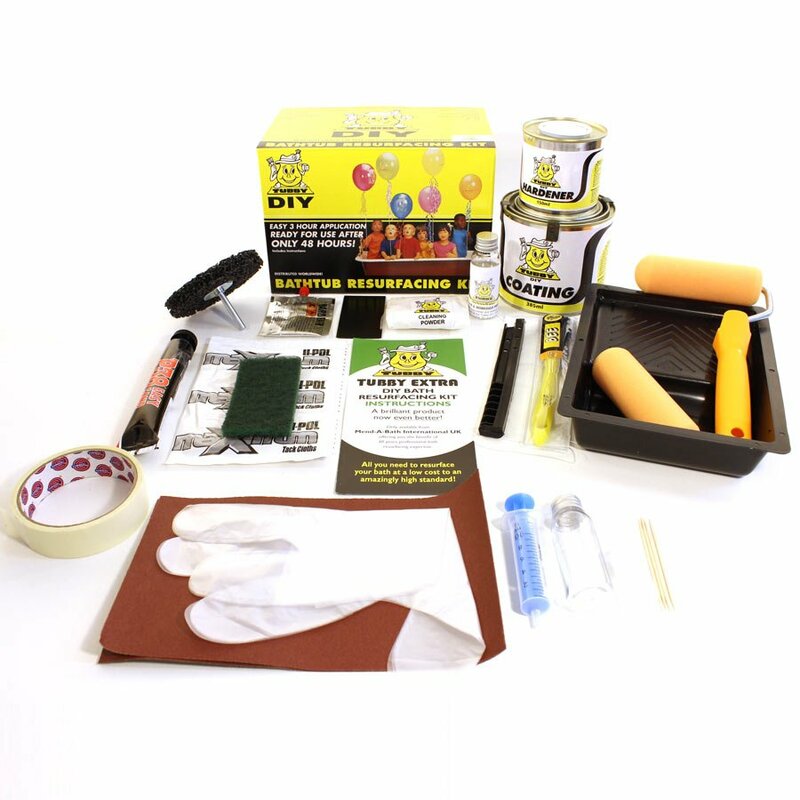 This is our top selling DIY enamel bath resurfacing kit. 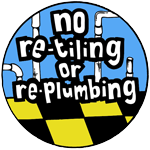 Save hundreds of pounds – resurface your bathware, don't replace it. 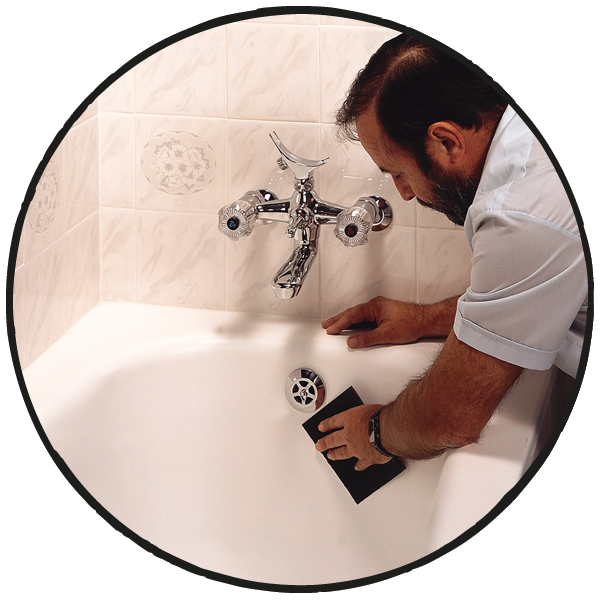 It's easy to resurface your bath and much less hassle! 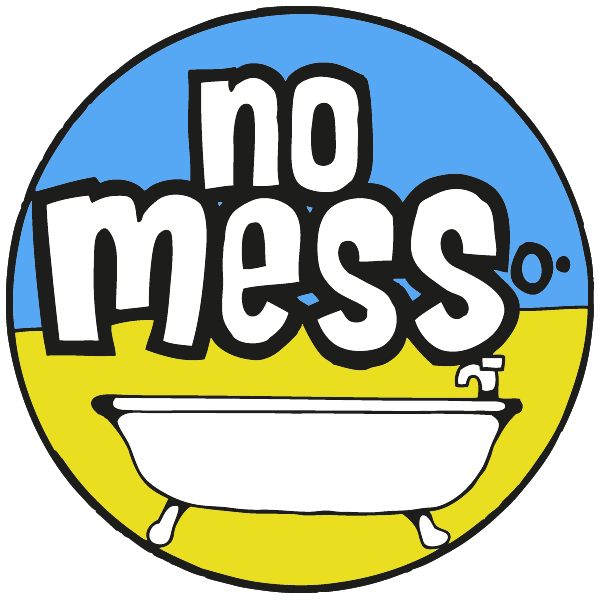 No re-plumbing, no re-tiling, mess, no fuss – just a shiny new bath! If your unsure what colour you need get in touch and we'll send you free samples so can be sure you get the right colour! The Tubby Extra Kit contains everything you need to fully resurface your enamel bath in the colour of your choice PLUS additional items to make the process even quicker and easier! This is our top selling DIY enamel bath resurfacing kit. 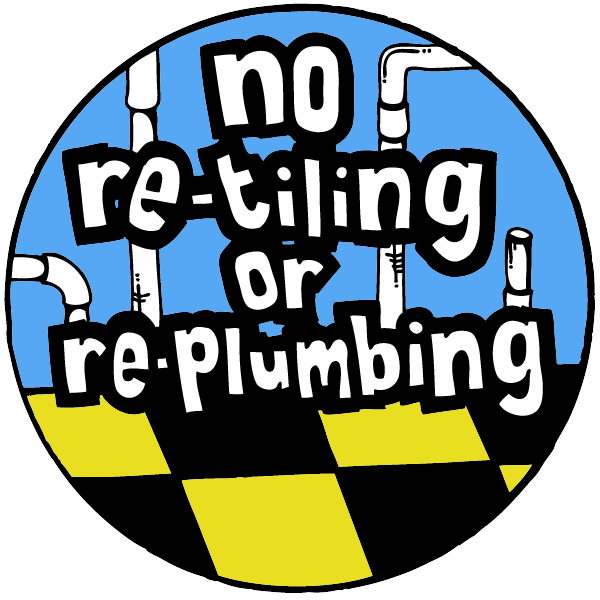 Save hundreds of pounds – resurface your bathware, don’t replace it. 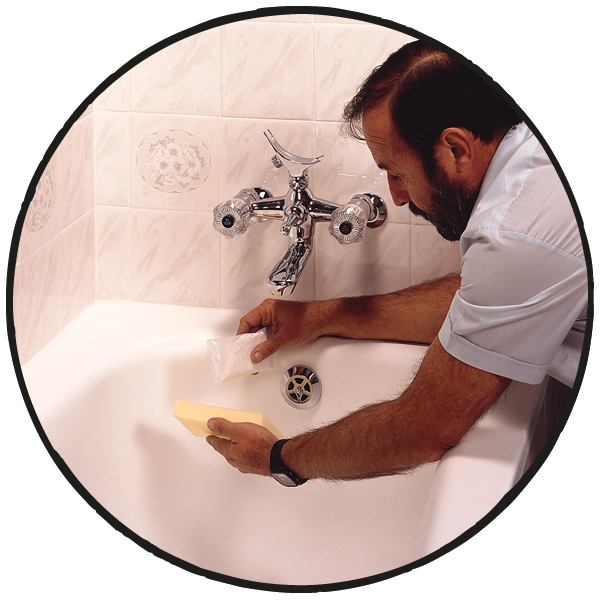 It’s easy to resurface your bath and much less hassle! No re-plumbing, no re-tiling, mess, no fuss – just a shiny new bath! 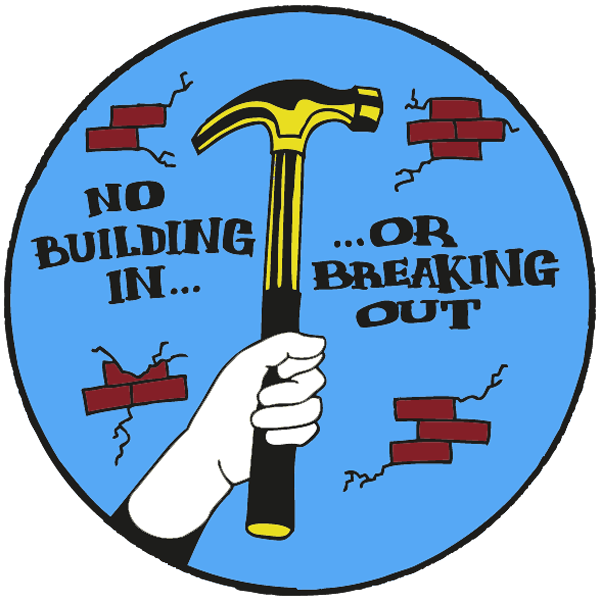 The Best Material on the Market…Do Your Whole Suite! 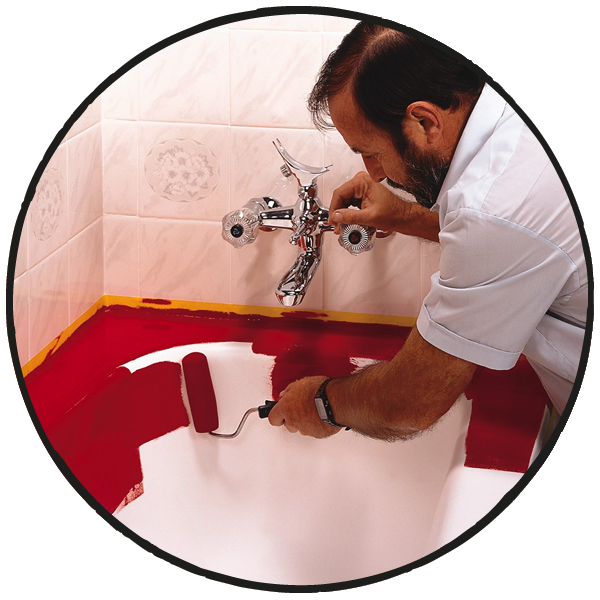 Tubby is a durable two-part epoxy-based coating specially formulated for use on porcelain, acrylic, cast-iron, fibreglass, pressed steel, cultured marble and ceramics so you can use it on baths, sinks, toilet exteriors, bidets and even tiles. 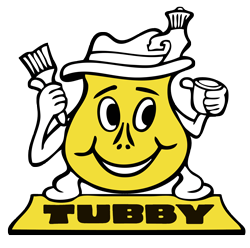 Because of it’s special properties Tubby is undoubtedly one of the best bathware resurfacing and tile painting materials on the market. 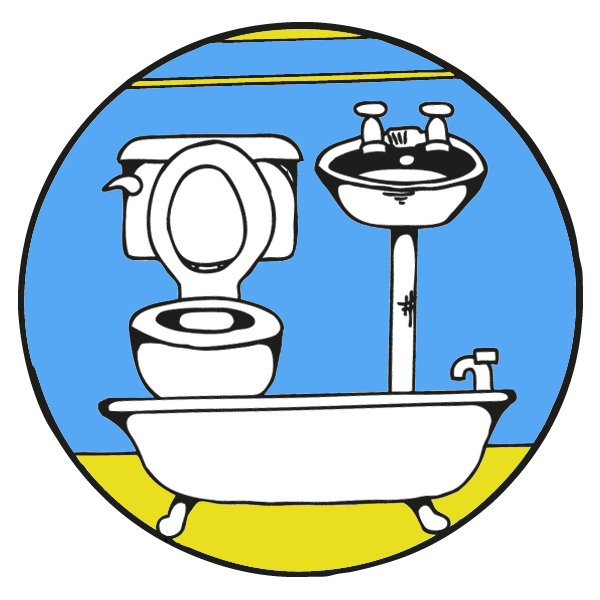 With Tubby DIY you can transform your entire bathroom suite for relatively little expense! 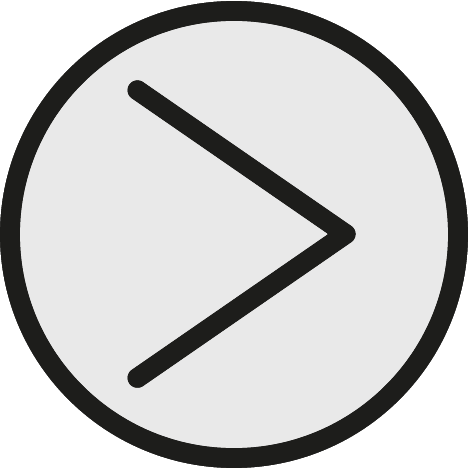 Our proven formula works on worn, discoloured or badly stained surfaces – saving you hundreds of pounds on the cost of replacement. 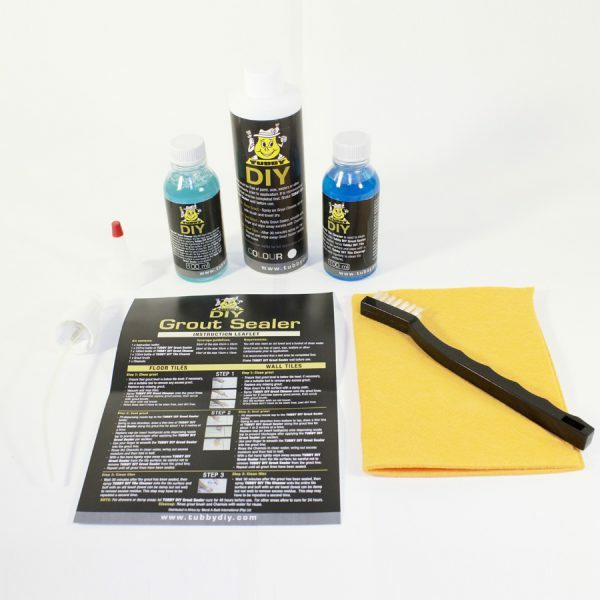 If you really want to get creative you can use the kit to give washing machines, fridges, dryers or freezers a hygienic, ‘as new’ finish! The kit contains enough material to effectively cover a standard-sized bath with two coats, so one kit per bath is all you need. 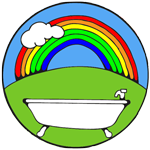 Contact us if you have a non-standard size bath and you would like some advice before you buy. 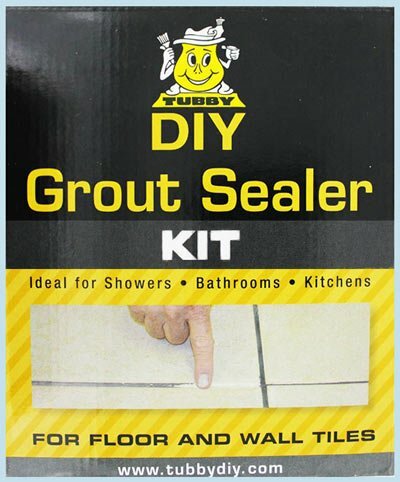 Tubby Preparation Pad – The pad attaches to your conventional drill and is designed to flat and key the surface of your bath before resurfacing. Just run it up and down the entire surface of your bath. Great for saving bags of time and effort! 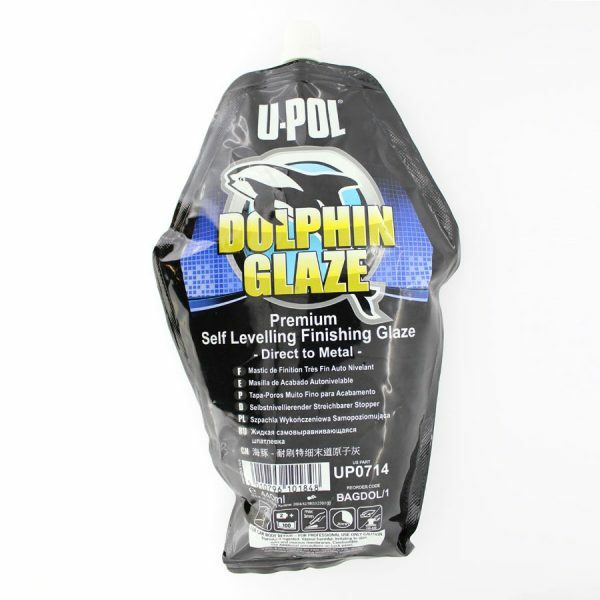 Rapid-Cure Bath Filler – Used to fill chips, pitting and corrosion before carrying out resurfacing work. 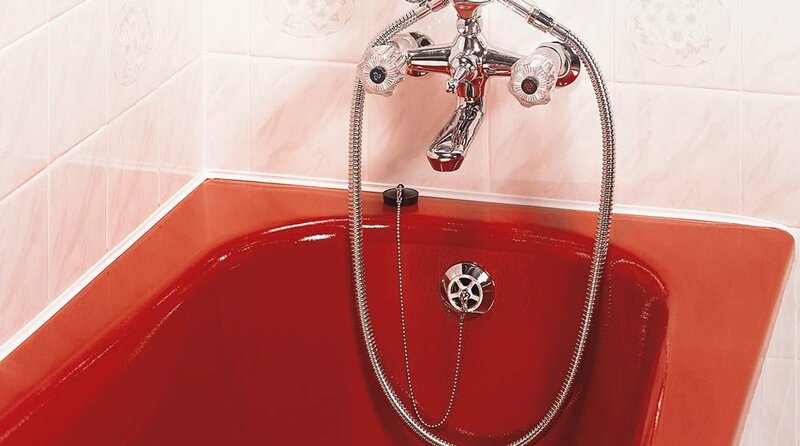 It is not always necessary but in many cases it will greatly improve the finish of a resurfaced bath because it helps to produce a very smooth working surface. 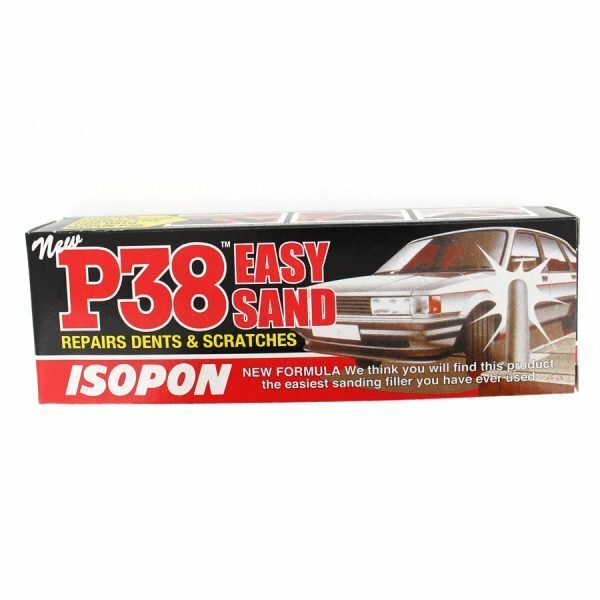 Tubby Adhesion Promoter & Degreaser – Applied with an absorbent cloth this product will remove any traces of grease on the surface and leave an adhesive bonding film prior to resurfacing. 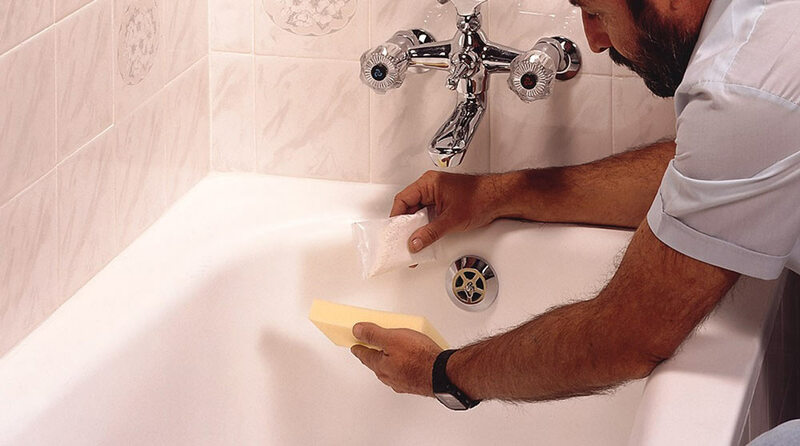 Tubby Tac Cloth – For the final wipe-down of the surface to remove all traces of fine dust. 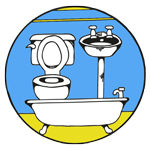 Spare Repair Material Bottles – For setting aside a small quantity of your enamel bath paint just in case you chip your bath in future. 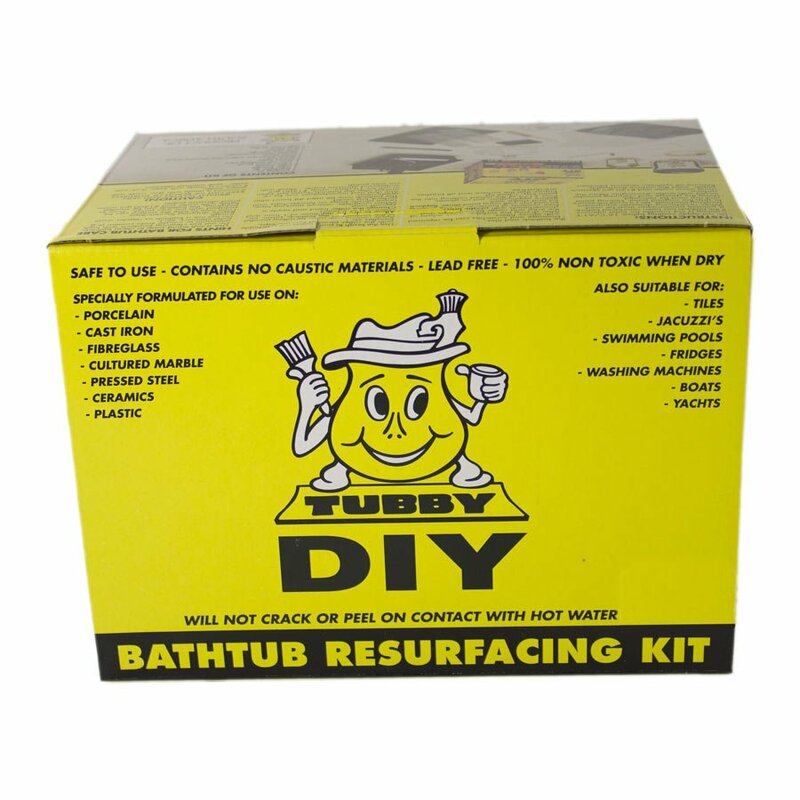 Tubby Bath Resurfacing Kits come complete with everything you need to resurface your bath. Just follow the Tubby 6 Step Process and you’ll be relaxing in a new bath very soon. To ensure the resurfacing material has a good “key” give the entire bath a once over over with the sandpaper provided. Now, to make sure you get a clean tidy finish round the edges and the fittings, use the masking tape provided to cover any bits that don’t need resurfacing. Now it’s time to use the roller. 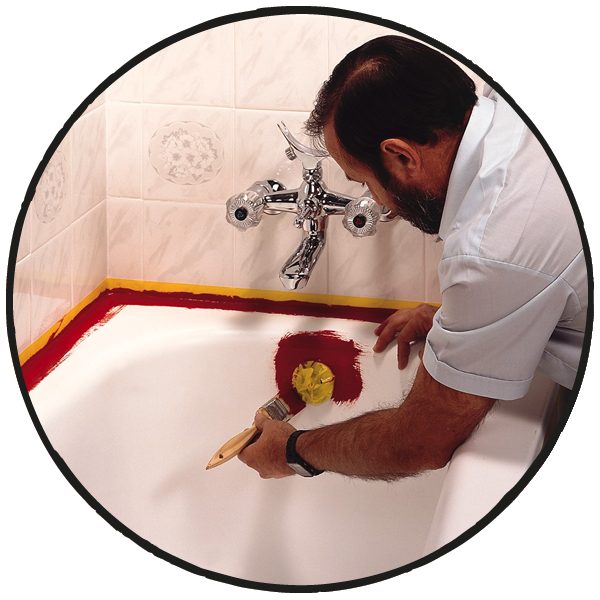 Just like when you paint a wall, the paint roller provided makes easy work of applying the resurfacing material to the rest of the bath. Now all that remains is to let it dry. After 24 hours of drying you’ll be able take relaxing dip in your newly resurfaced bath.